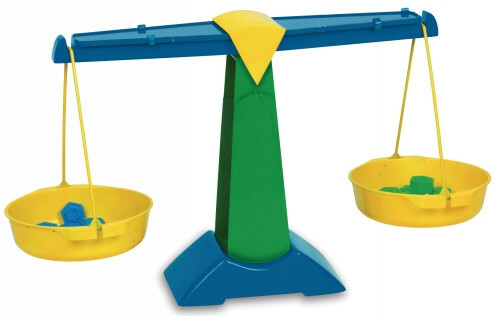 Teach weight measurement and grams with this strong, durable, plastic balance. Students will learn to measure and compare the mass of a liquid with a specific volume to weights or other objects. Features detachable buckets for easy clean up, and for accurate measurement a sliding compensator for zero adjustments. Holds up to 1L. The set includes five each of 5 grams and 10 grams hexagram weights.